Britain is an industrious and entrepreneurial nation that is renowned around the world for innovation and great ideas. We’re awash with the good ideas but there’s a lack of cash to convert them into successful businesses, and this is often cited as the number one barrier for many companies. No issue has dominated the news and political debates as much as small firms’ troubles accessing finance, which has only been exacerbated by the current economic turmoil. The UK Government’s aim to get high street banks’ lending is not having the desired effect; Project Merlin was a disaster and UK bank lending has continued to fall. This is despite government attempts to reverse the trend through its Funding for Lending Scheme (FLS), with official figures released in June 2013 by the Bank of England showing that net lending fell £300 million in the first quarter of 2013. It’s a real conundrum. And while innovation moves, or gallops, ahead of the times, the process of investing hasn’t evolved much for 150 years. Entrepreneurs still have to go cap in hand to wealthy individuals to get the cash they need to kick-start their enterprise, often relying on friends and families to finance the all-important earlier stages of development. Traditional sources of finance, such as banks, angel investors, venture capitalists or similar, are not genuine options for many businesses seeking finance these days. Crowdfunding challenges the status quo and presents a real revolution in the start-up and small business funding, both in the UK and around the world. Crowdfunding flips the traditional notion of funding on its head; rather than seeking money from one or two business angels, a bank or VC, it empowers people to pool more modest sums of money in order to back businesses collectively in return for an equity stake or rewards. To serious investors it is the equity-based crowdfunding sites, such as my company, that are of most interest. They enable entrepreneurs to showcase their businesses and the investment opportunity to a nation of ‘Armchair Dragons’ who can invest as much, or as little as they like and receive shares from the company in return. This shift in philosophy is creating a next generation of business finance that democratises investment and empowers more people to become investors in some of the great businesses that set up in Britain. Boosted by Government schemes that provide investors with generous income tax relief for equity investments in the UK, and perhaps by the stagnation of returns on other investments, crowdfunding has become a thriving industry. Deloitte predicts that crowdfunding portals will raise £1.9 billion in 2013; double the £0.9 billion raised in 2011. For entrepreneurs, crowdfunding represents a breath of fresh air, offering a new way of raising money that has many benefits over the traditional routes to finance. Firstly, by spreading an organisation’s investment between lots of smaller investors, the owner can tap into a bigger pool of talent and experience with people who have a vested interest in the business’s success. The company is also less likely to be held to ransom by a single large investor who could withdraw its offer at the last minute, negotiate an unfair stake or become a difficult, overbearing shareholder who meddles too much in the running of the business. Equity crowdfunding also gives entrepreneurs the opportunity to ask people to invest who previously wouldn’t have been able to, such as family and friends, employees and even customers; all could now become stakeholders and share in its success (and risk). Because they have a vested interest in its success, these investors can also become the biggest advocates. Crowdfunding is financial democracy with small businesses using it to connect with people to raise capital. People choose which pitches get their hard-earned cash, and if enough people agree, then the business will reach its funding target. In essence the ‘wisdom of the crowd’ collectively makes a judgement on which investment proposition is the strongest. The investment market has long-needed a more equitable approach and crowdfunding achieves this. It will give enterprises a better chance of securing capital by being able to tap into ‘new’ pools of wealth. And through making it easier for business ideas to get off the ground and great ventures to grow and prosper, it can really kick-start Britain’s economic recovery. Fuelled by entrepreneurs’ growing demand for alternative sources of finance and an unwillingness to let their great ideas fail at the finance hurdle, the equity finance landscape in the UK and abroad is ready for a long due overhaul. Crowdcube, for example is thriving in the light of latent demand and we are thrilled with the response from investors and entrepreneurs alike. The benefits of crowdsourcing investment may only be in their infancy but it looks set to flourish as the economy recovers. 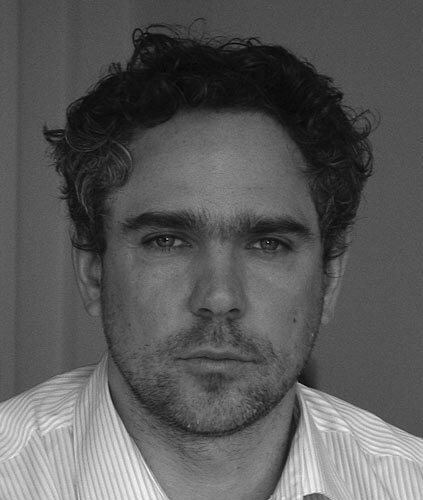 Luke Lang is co-founder of the British equity-based crowdfunding platform, Crowdcube. Follow him on Twitter @lukelang or @crowdcube.